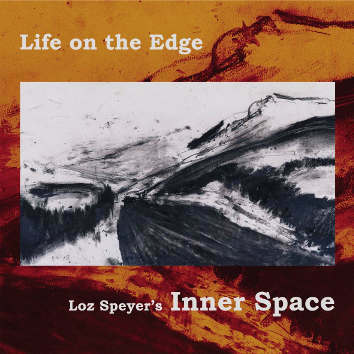 My first encounter with Loz Speyer was in 1993 when the band he played with then, Happy End, came to Cardiff for the Cardiff Festival. He returned 10 years later with his band Time Zone, then again, a further 2 years on as guest of the Welsh Jazz Society and Cardiff’s St David’s Hall. Since then I had lost contact with the musician and his activities, but remember that his playing came across with some unequivocal earnestness. Playing both trumpet and flugelhorn, his sound is resonant, redolent of Clifford Brown and some Miles Davis. The band’s sound is warm and swinging, jazz from the essence of a high energy, prototypical, post-bop custom. Overall, the sound of Inner Space seems to tread – and not too hesitantly – in puddles already stirred by Mingus and Ornette Coleman. Although the music is challenging, the CD exhibits an unusual degree of equilibrium between freedom and structure, the musicians are absolutely in concurrence to each other’s susceptibilities and the consequence is an album which is excitingly diverse. There is in fact a great deal of space to indulge in improv. I was singularly impressed by the addition of a third name to the front line – composer and improviser Rachel Musson on tenor and soprano horns. She was heard on BBC Radio 3’s Late Junction, after they had recorded her improvising beside a singing nightingale. Now that’s what I call jazz.